New Delhi: In yet another midnight political drama in Goa, two of the three MLAs from the Maharashtrawadi Gomantak Party (MGP) joined the ruling Bharatiya Janata Party (BJP) on early Wednesday. 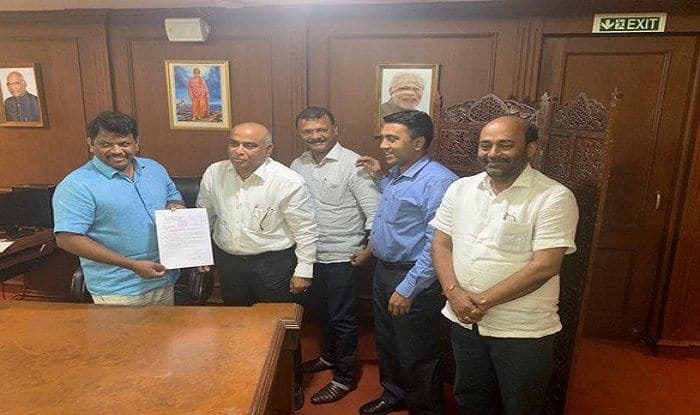 Goa Assembly Speaker Michael Lobo confirmed that he received a letter by MGP Legislators Manohar Ajgaonkar and Dipak Pawaskar at 1:45 am for merging their legislature party with the BJP. With this merger, BJP now has the strength of 14 legislators in the 36-member House, equating opposition Congress which has an equal number of MLAs on the floor. Notably, the MGP is an alliance partner of the BJP in Goa since 2012. “We, Manohar Ajgaonkar and Deepak Pauskar have agreed to merge with the BJP. In view of sub-clause (2) of clause 4 of the 10th Schedule, and in view of the fact that we constitute 2/3rds of the members of the legislative party, such merger shall be deemed to have taken place,” a letter submitted by Ajgaonkar to the Deputy Speaker said. Meanwhile, Sudin Dhavalikar, the third Maharashtrawadi Gomantak Party (MGP) MLA and deputy chief minister in the BJP-led Goa government, has not signed the letter. Lobo also confirmed that the signature of Dhavalikar is not there on the letter. Speaking to reporters at the state legislative assembly complex Manohar Ajgaonkar said, that both he and Deepak Pauskar were kept away from the decision-making process in the MGP, which was the reason why the duo had decided to quit the regional party. “We have happily joined BJP. Oath-taking ceremony will take place at 12 PM (today) in the presence of Goa Governor. We will accept whatever ministry will be given to us by Goa CM. Sudin Dhavalikar (Goa Deputy CM & MGP MLA) should be dropped now. He will be dropped during working hours today,” Pauskar told ANI. An official from the Chief Minister’s office also said Dhavalikar is expected to be dropped from the Cabinet. The BJP has called for an emergency meeting of its MLAs and office bearers at its head office in Panaji on Wednesday during which the merger of MGP MLAs into the party would be discussed. During the meeting, it will reportedly be decided to drop Dhavalikar and replace him with Pawaskar in the cabinet. Dhavalikar was designated as deputy chief minister along with Goa Forward Party’s Vijai Sardesai, last week, by Sawant. MGP is an ally of the BJP in the Pramod Sawant government with all the three MLAs supporting him along with legislators from Goa Forward Party and Independents. Sawant, who faced floor test last week after the death of chief minister Manohar Parrikar, was supported by 20 MLAs as against 15 from opposition. Reacting sharply to the merger, the Congress said, “BJP has proved that it is a threat to all its allies,” Congress’s Goa chief spokesman Sunil Kawthankar said. “This is a clear indication to all NDA partners all over country just before Lok sabha election that any partnership with BJP will be detrimental to the existence of their own party,” he added.